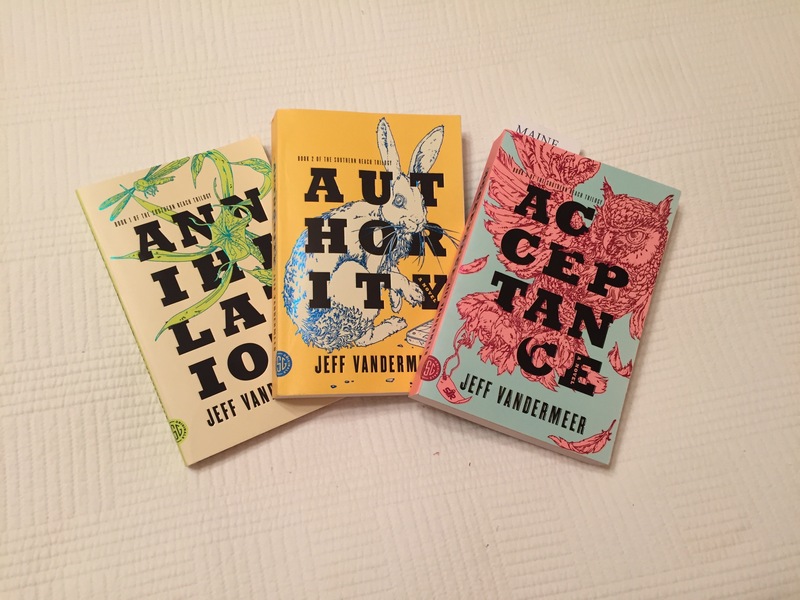 I’m reading the Southern Reach Trilogy. I’m about halfway through the third book. This trilogy is one of the more different reading experiences I’ve had. It’s an “eco-sci-fi” genre–not a genre with which I’m very familiar. I have to say I’m really enjoying the read. But all will depend upon the wrap up. Will VanderMeer carry off his tale. Or will it fall flat? I’ll know soon. The first book sets the stage and is, in a way, “her” story. She’s a biologist. And she’s part of a team that goes into “Area X” to explore it’s very strange and lethal properties. The second book is “his” story. He’s put in charge of the “Southern Reach,” the organization that monitors and studies Area X.